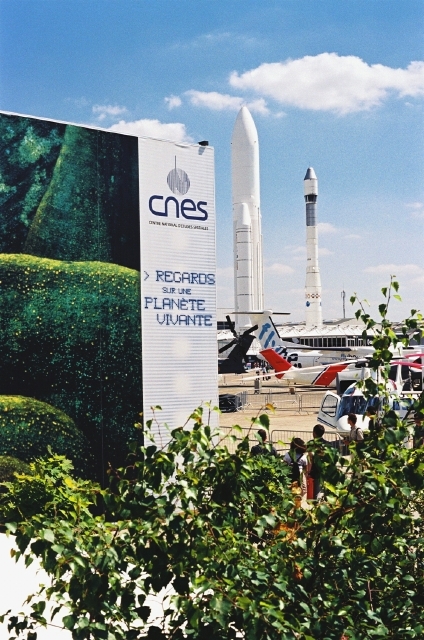 From 13 to 19 June 2005, CNES is at the 46th Paris Air Show. This year, the agency’s exhibition proposes to take professionals and public alike on a unique tour from space to Earth, in tribute to Jules Verne. CNES also has a special website dedicated to the air show, marking the centenary of Jules Verne’s death and celebrating the achievements of this great writer who was passionate about science. The Paris Air Show is an opportunity for CNES to showcase its role as France’s space agency and meet its partners. The theme of CNES’s exhibition pavilion at this year’s show is “On Earth, in Space”. It invites visitors to embark on a journey of the senses and discover the agency’s missions and programmes in space exploration and Earth observation. The accent is on how the benefits of space research are reaching into our daily lives. The show is also an opportunity for CNES to pay tribute to Jules Verne. At the entrance to its exhibition, CNES celebrates the memory of this author and commemorates his death one hundred years ago. A man of letters and an artist, he has taken his readers all around the world and beyond into the Universe. 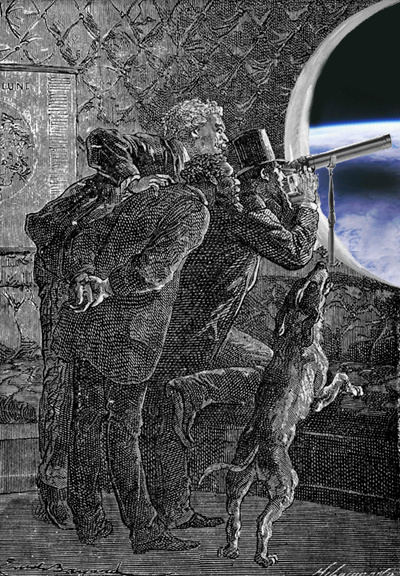 CNES is taking this tribute a step further on its special website dedicated to the Paris Air Show, illustrating CNES’s activities through Jules Verne’s approach to space, underscored by his visionary genius. CNES’s special website dedicated to the air show gives you information on how to get there, what to see and all other practical details. Open to the public on Friday 17 (entrance free for students), Saturday 18 and Sunday 19 June.